A loan of $1,500 helped to buy cows to breed for calves to sell. Chantha is a 51-year-old married mother with two children in her care, who resides in the Kampong Speu Province in Cambodia. 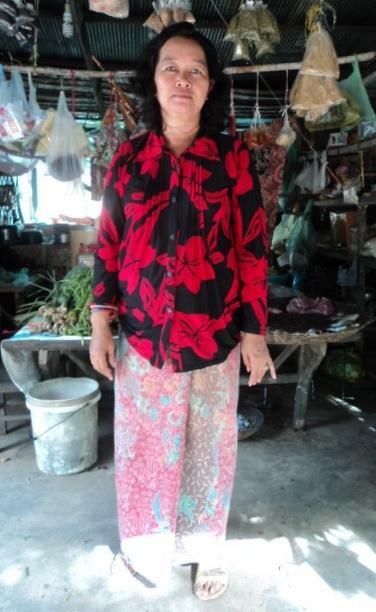 She has earned some income from the business of selling fish, vegetables and grocery since 2010. One of her two child is factory worker and one attends school. Her husband is a 52-year-old man and he also earns some income from fish selling. Together, they can earn around $25 each day. Chantha would like to improve her family’s finances, so she needs a loan to buy cows to breed for calves to sell. With this loan, she will be able to have enough money to buy cows and earn more income when the cows are able to produce calves. In the future, she wants to buy more soil to fill the yard around her house and support all her youngest child to go through high school.